Film is one of the most powerful artistic and educational mediums of our times. It is both a tool of personal expression and a screen for reflection of social and historical issues, as it carries culturally specific and universal themes. Its usefulness in expressing and educating others about the Palestinian issue remains hugely significant in our present day, and for this reason, The Jerusalem Fund runs a seasonal film series throughout the year, screening a variety of types of films – both fiction and non-fiction, recent and less recent. All these films attest to the vibrancy of a Palestinian cinema despite the statelessness and sometimes simultaneous dual nationalities of its filmmakers. The film series is curated by Samirah Alkassim, the Program and Communications Manager. Please contact her directly if you have any questions related to film, at salkassim@thejerusalemfund.org. To read more about Palestinian cinema, click here. 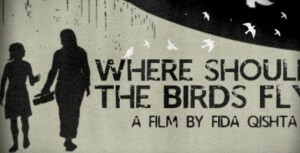 “Where Should The Birds Fly?” documents the lives of two courageous young Palestinian women, survivors of Israel’s massive 23 day attack on Gaza that began on December 28, 2008. Mona Samouni, now 12 years old and the filmmaker, Fida Qishta, now 27, represent the spirit and future of Palestine. Short documentary “Restored Pictures,” 22 mins by Mahasen Nasser Eldin followed by “Kings and Extras,” 62 mins by Azza El-Hassan. 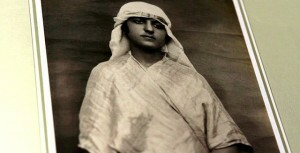 Both films touch on the significant contributions Palestinians have made to their own documentation, respectively in the periods of pre-Nakba and post-Nakba. 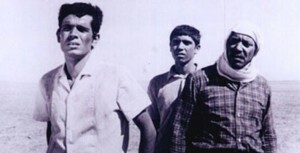 The Dupes, by Tawfik Saleh, 1972, 107 mins: The story is based on the 1962 novella Men in the Sun by Palestinian writer, artist, and resistance leader Ghassan Kanafani, who was assassinated at age 36 with his young niece in a car bombing in Beirut in 1972.